Excessive heat can cause resins in your brake pad to vaporize or "outgas." 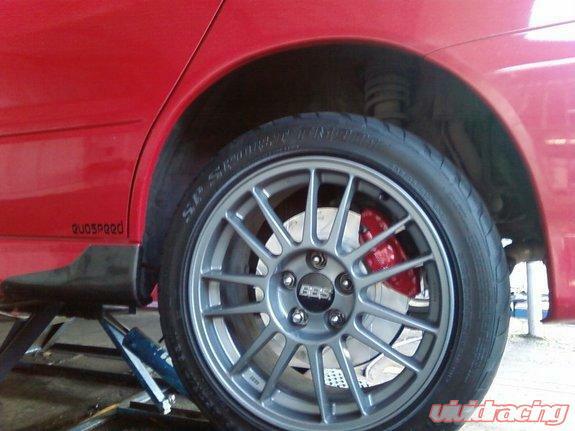 As the brake pad wears, the used friction material turns into a fine dust. This boundary layer of heat, gas and dust builds up between the pad and rotor surfaces and inhibits performance. Power Slot's exclusive Vac-U-Slots are machined into the rotor and help evacuate gasses and dust, shed heat, and keep the brake pad surface clean. And in wet, raining conditions, Vac-U-Slot helps push water off the braking surface for better stopping power. The Vac-U-Slot also serves as a visual wear indicator. 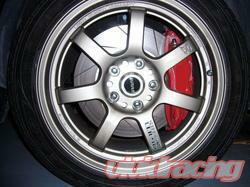 The slot is machined to the rotor’s minimum thickness where it crosses the outside edge. If you cannot see the slot along the outside edge, the rotor has worn down to its discard depth. 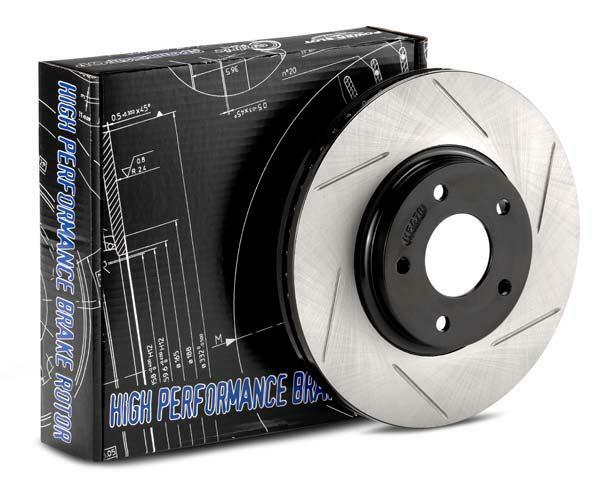 A combination of high performance brake pads and Power Slot’s slotted rotors will deliver superior, reliable braking for virtually all automotive, truck and SUV applications, even under hard driving and severe duty conditions. Call Vivid Racing at ’1-480-966-3040’ with any questions.